Producing an Inspiration Book, to be spread amongst spatial planners. The project addressed the problem of improving water quality and to reduce stormwater/sanitary sewage related problems by reducing excess water in sewers. The aim was achieved by introducing modern sustainable technologies such as innovative no-dig techniques and source control measures. The NORIS project achieved its desired outputs, results and impacts by finding innovative solutions. 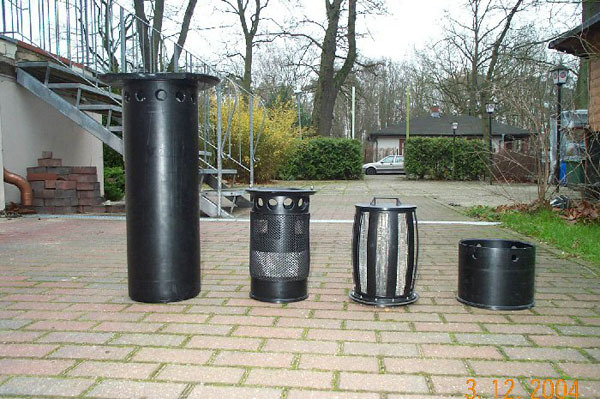 As an example, the project carried out field trials using an innovative technique, developed in Sweden, to separate drain and rain water from the sewer system. The reconstruction of the old sewage systems to the new 2-in-1 method can be carried out without extensive digging work as a flexible liner is installed in the old water pipe. In this way greater disturbances in traffic are avoided. The new system saves both energy from pumping extra water and chemicals to treat the water. There have been information meetings and personal contacts by using a reference group representing the target groups. This represented a different way of working on municipal matters and was positively received by the citizens. Many contacts with citizens and stakeholders have been established. This proved to be a good way of encouraging and inspiring stakeholders. The first and most developed contact with another project took place in Bradford in December 2004, where a joint meeting was held together with the UWC (Urban Water Cycle) project. The Bradford partner is a partner in both NORIS and UWC. This contact further developed during the lifetime of the project and resulted in a successful joint final conference in Amsterdam in September 2007. Contacts have been made between projects on a national level as well. More organisations and sectors were involved for example due to the fact that the project did not only focus on technical issues but also on sustainability assessments. The sustainability assessment gave the project added value and the opportunity to look at the technical solutions from different perspectives; technical, economic, social and environmental. One aim of the project was to bring together planners and politicians from local, regional, national and transnational levels. This was done by round table discussions where "10 do's and 10 dont's" in management of rainwater run off in the NSR were created. The cooperation resulted in an "Inspiration Book" where the experience of NORIS as well as the result of the Round Table discussions can be found.